She did it! Several months ago, my wife had thrown it out there that she wanted to do another marathon. This would be her first in 10 years and after giving birth to our 2 kids. Her running throughout that decade had been like a roller coaster. Gaining speed during some points, only to to slow to a roll or even a halt at others. Emphatically she stated that we were going to run the Country Music Marathon and that there was one rule. The rule was that I had to run the race with her. No questions asked, I had to play the role of sherpa come race day. I nodded my head in agreement, and then asked a simple question, " I heard its kind of hilly. Have you looked at the course map?" 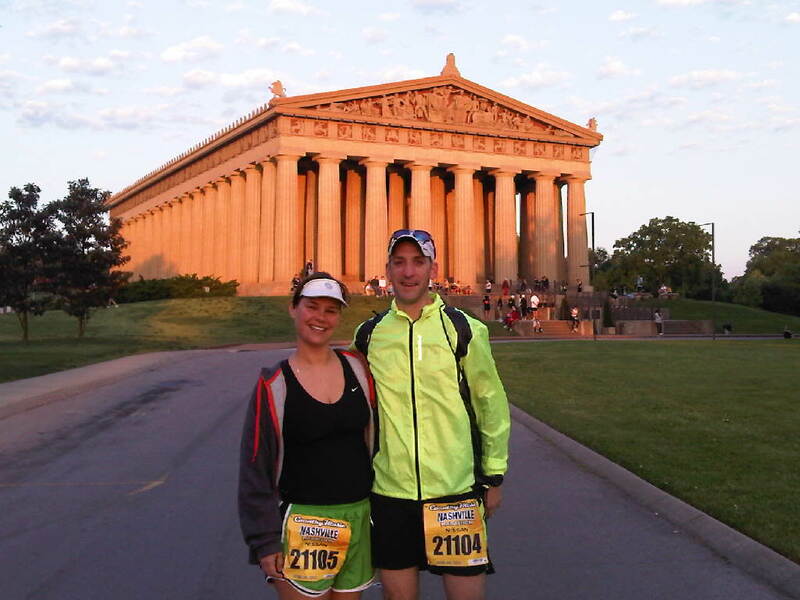 Keeping in tune with her spirit, my wife answered, "Well no, Nashville seems like a fun place to go, and they have a marathon." Throughout the winter in Metro Detroit (note: flat as a pancake, no elevation gain!! ), my wife followed her training plan (Hal Higdon's Novice Marathon Training) and braved not only the elements outdoors but early morning ventures on the treadmill in the basement. I have to admit I was surprised at her fortitude at sticking to the plan and over the course of the plan she began to get stronger and stronger. 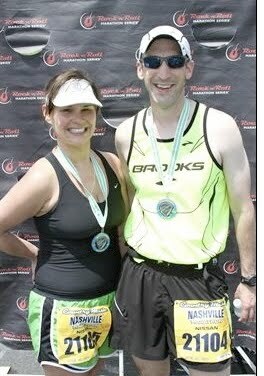 Race weekend was soon upon us, and neither of us had run more than a few times in shorts, and never above 70 degrees. Secretly, I harbored a goal of getting her across the finish time in less than 5 hours given her recent training and 1/2 marathon result, but knowing her, she would not be bullied into something. She would do it her way. Race day came upon us, and we took the shuttle over to the start. No, that is not the real Parthenon, but an exact replica. Temps were already at 55 degrees before we started and the wife had that grumbly, rumbly tummy like she was gonna puke. She didn't. I knew temps would climb to near 80, and made sure to grab a couple of salt packets that volunteers were passing out as we crossed the starting line. While I am not typically a fan of large races, my wife is and enjoyed the camaraderie of fellow runners as we made a procession around the city. 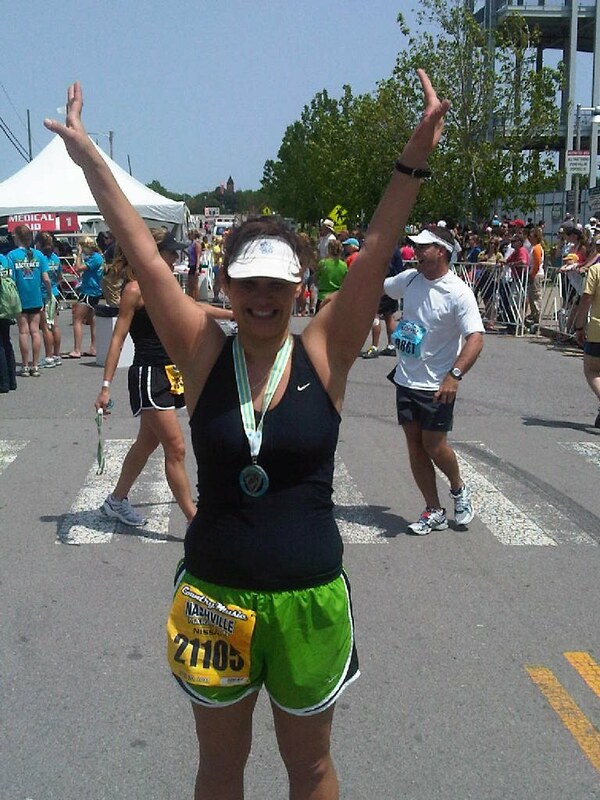 Through the first 13 miles, she was all smiles and stayed ahead of the 5 hour pace group. However, as the temperature rose and her pace slipped, I could see that look in her eye. They had the look of tears, to which I promptly told her..."You can cry when you finish, not now", but also one of that maybe that 5 hour marathon wasn't going to happen today. Even though her longest training run was 20 miles, it was not on a hilly course like this nor had she been able to train in any heat. I made use of the salt packets to try and keep any cramping at bay and her electrolytes even, but eventually we slowed to a walk for long stretches and she began to have some pain in her back. That pain would force her to stop and stretch several times, but she said she was going to keep moving forward and that was all that mattered. 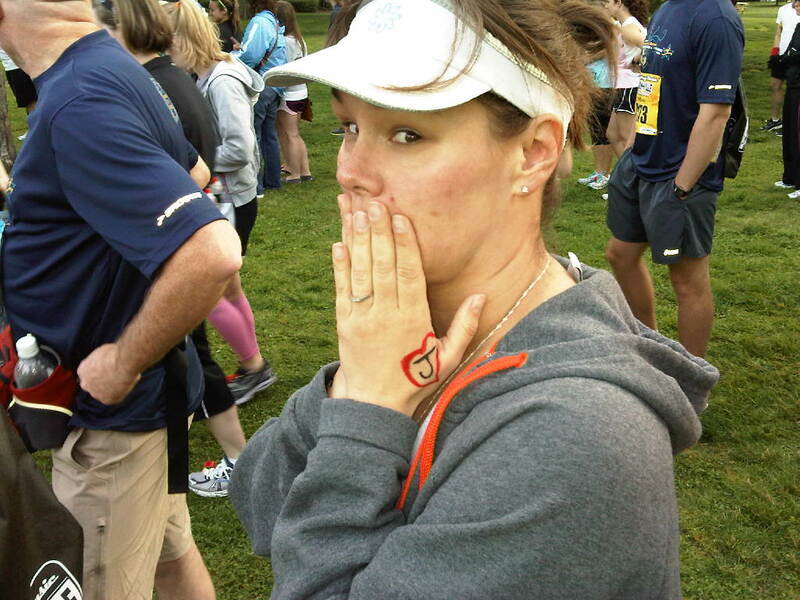 With the finish line in sight, I told her we were going to run this thing, and she did just that. 5 hrs and 39 minutes after we crossed the line, we finished. I have to admit that I even held back a tear, even though I was so proud of her. She did it and she did it her way.